Mark Saturday, August 13th on your calendar because there is a live showcase coming to Toronto’s Molson Canadian Amphitheatre that you will not want to miss! 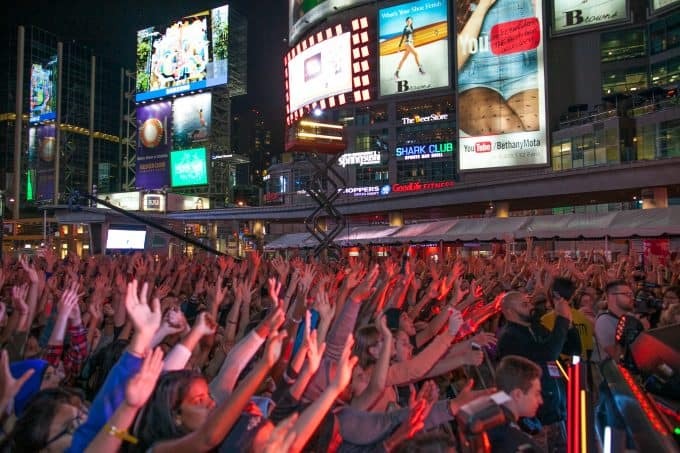 I’m talking about the YouTube FanFest returning to Toronto for its second year. And get this, tickets are FREE, but you do need to register through Ticketmaster. So go do that now, I’ll wait. Last year’s YouTube FanFest in Toronto was not only the very first one in North America, but it also drew in more people than previous FanFests in Asia, Australia and India with over 15,000 fans attending! This year’s event will be amazing. I saw the line-up and some of my favourite YouTube stars will be performing. Expect lots of music, dance, mashups and FUN. It’s no secret that Canadians LOVE YouTube. Did you know that Canadians watch 2 billion videos on YouTube in Canada each month? My daughter is an avid YouTube user and I enjoy watching videos with her on her iPad. Canada is also home to a ton of talented YouTube creators and many will be at this year’s show. Lauren Toyota, co-host of the YouTube channel, Hot For Food, is hosting the event. Toronto YouTube Superstar and my fave, Lilly Singh, (IISuperwomanII), is headlining. Lilly’s videos always crack me up. She has 9 million+ subscribers, me included, and I’m sure some of you are fans too! Recognize any of these YouTube Superstars? They’ll be there too! AsapSCIENCE and musical artists, Kurt Hugo Schneider, Ruth B, Megan Nicole, Tiffany Alvord and Sam Tsui will be performing along with dancers, Marquese Scott of WHZGUD2 and Poppin John. These YouTube creators are some of the most-watched stars on the planet with a combined reach of over 52+million subscribers and a cumulative 7.9+ billion views. This showcase is the perfect opportunity for you to connect with other YouTube fans and your favourite performers. It’s an event like no other where fans and YouTube Creators can engage IRL (in real life) similar to what happens every day in the YouTube community online. I know you do! Visit Ticketmaster to register for your FREE tickets. You must register to be granted entry to the event! Visit YouTube FanFest for more information including the full line-up, important times and venue details. Which YouTube Superstar are you most looking forward to seeing? I am most looking forward to seeing Mike Tompkins this year! Actually, would love to see Team geo a youtube stream team that are in Toronto. I seriously love everyone but I’m really excited to see Bethany Mota! I’ve been a fan since 2012 and it would be a dream to meet her!! 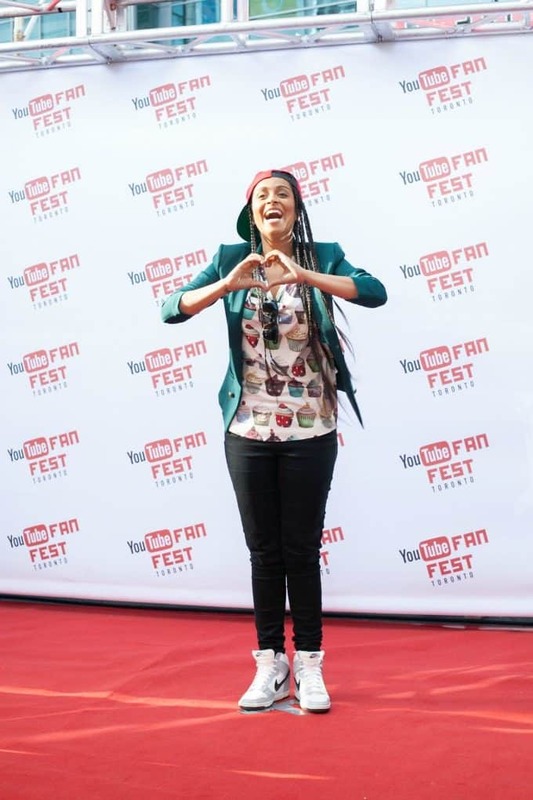 hands down – love to see Lilly Singh!! I was in Toronto two years ago the day AFTER youtube fanfest and missed seeing Bethany Mota so she’s definitely who I want to meet! Would love to see Lilly Singh! I would love to meet Lilly Singh & Bethany Mota!! I’m most excited to see Bethany Mota! I’ve been a fan of hers for so long now, I love her videos. Happy to see Ruth B! Lily Singh might be entertaining. Have seen her on so many billboards in my travels that I am curious. Im excited to see superwoman! I’m excited to see Bethany Mota. I’m most excited to see Lilly Singh. I want to see ASAPSCIENCE!! Mitch is from Big Brother Canada and I’d love to see him live. ASAP Science is who I’m most excited to see at YouTube Fanfest. Their videos are educational and entertaining and I love their personalities too! Lilly Singh!!! Just started watching her videos and loooove her! I am so excited to see Lilly and if i meet her I will most likely bake her some brownies with the TeamSuper logo on them!